« Can Vitamin C Help Prevent GOUT? Just gave a lecture to a group of food technologist, media personnel and nutritionist on the Nutritional Benefits of Pulses upon the invitation of the United States Department of Agriculture at the USDA Culinary Theater. Fortunately the Philippines now has access to the USDA products of pulses which have been neglected sources of healthy nutrients especially fiber. I have been a proponent of healthy foods in my website. I am an advocate of healthy lifestyle for a healthy mind. And I am not hesitant to help promote products that are healthy and nutritious. Pulses are actually edible seeds of legumes. 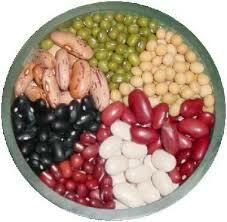 Legumes include the peas, chickenpeas, beans and lentils. The good thing about them is that they are rich in fiber and have low glycemic index. As such, they therefore can be great partners to what we know as healthy diet. A cup of cooked peas for example can be packed with fiber and yet very low in glycemic index meaning, the capacity to increase the blood sugar upon ingestion is very low. The combination of these properties provide one an ideal food that can be both filling and nutritious. As a result therefore, one gets to enjoy a food that can less likely contribute to weight gain which we know can lead to more serious chronic illnesses like diabetes, high blood pressure and stroke. Several studies have now shown that obesity can lead to serious problems, and pulse based diet has been shown to help curb obesity in certain populations. Anything that can help us decrease the prevalence of obesity in this country and the world is really a welcome addition to our need to find more ways to combat this epidemic. Likewise, intake of pulses in certain regions of the world have been shown in epidemiological studies to result in long life span like the Japanese or the Swiss and reduce the risk of colon Cancer due to their pre-biotic properties. However long term studies need to be done to confirm this finding. We don’t go to groceries and easily grab peas or beans in the aisle. We still need to be educated more about these foods and the USDA has led the way in this regard and I am pleased to be part of it. I myself am a fan of peas and beans. I have started to educate my kids about the nutritious benefits of eating veggies and slowly and slowly, they’re learning to enjoy the greens more each day. So the next time you go grocery shopping… take a second look at Pulses. They are HEALTHY AND NUTRITIOUS!!! This entry was posted on	March 22, 2009 at 8:39 pm	and is filed under General Health Tips, Lifestyle Measures.